It is a rare moment in deed that I find myself with the ideal fabric and sewing pattern at the same time. I have a stash of both, but I'm horrendous at matching the two items together. This was one of those rare moments. 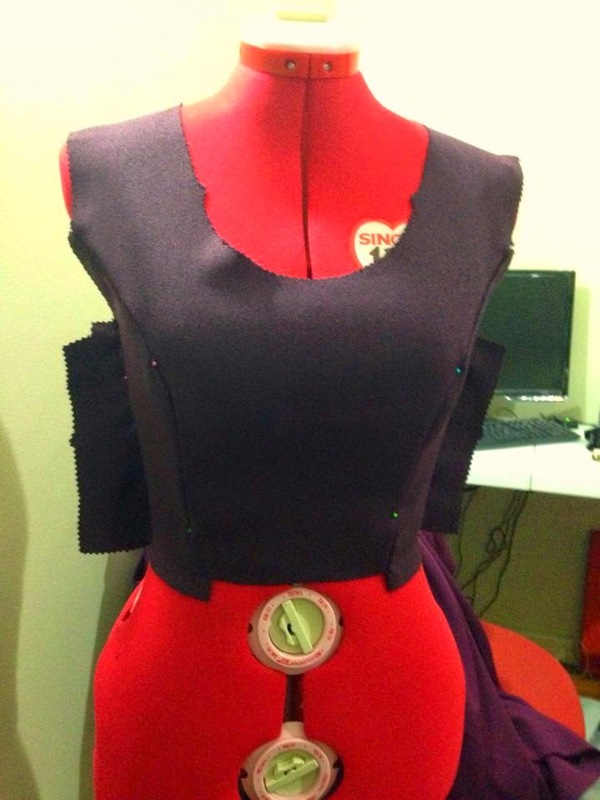 I've had this medium weight suiting fabric for a while now and had wanted to redo one of my earlier dresses, and given that the skater dress is in fashion now, I've found the right time to make it too. The original was made with a interlock type fabric, but clings horribly as seen above, and is also too lightweight to have pockets added. I used amazing fit 2648, which has 1 inch ease and gets you to baste the seams together to alter the fit, a bit advanced for my skills at the time. But the style was complimentary to my body shape. I picked up this sewing pattern earlier this year at an op shop for $0.20, and the previous owner had already copied the pattern onto thicker paper, which was amazing. 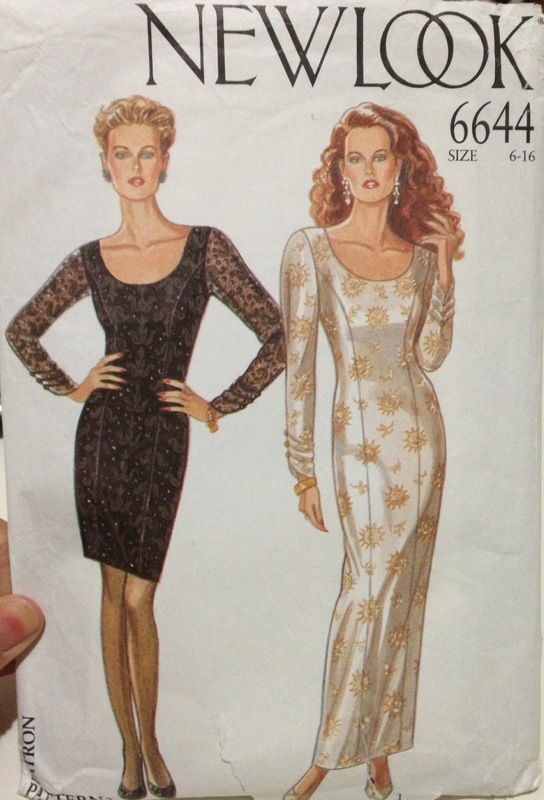 It's a pretty classic princess seam dress pattern for a great price. I used the bodice and cut it off about 2 inches below the waist line and teamed it up with self drafted cap sleeves and a circle skirt with pockets. I had help with the fit from my new handy sewing model, it's nice to be able to stick pins and fit the shape without stabbing myself. I'm loving the style and can't wait to make another one. PS. Hope you guys like the new layout. I'm missing a few posts between the first and second pages, and every time I update a new post it pushes them to a mysterious page I can't access. I'm trying to figure out how to change this, I've even messed with the dates a little to see if it helps, but can't figure it out, if you have suggestions feel free to add to the comments section. In the mean time I've tided up my pages section and labels to help you find projects easier.